Between the Black Moon, lunar eclipses, and all the nonsense going on with the American presidential election, 2016 can't get much weirder, right? Wrong, of course. 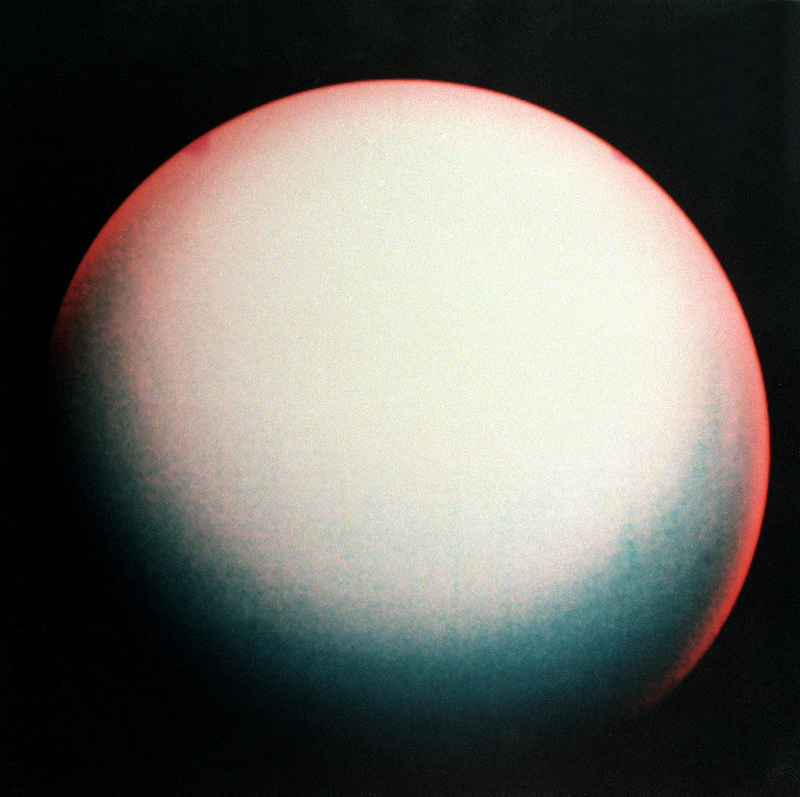 Apparently, Uranus could have hidden moons — two of them, to be exact, so tiny they're called "moonlets." Who knew astronomy could be so adorable? Like Saturn, the icy gas planet is circled by a series of rings, although Uranus' rings are darker and narrower than those surrounding the sixth planet. It's sometimes called the "sideways planet" for its rotation, which is tilted nearly 90 degrees from its plane of orbit. Uranus is so distant that much of the planet remains mysterious, but scientists agree that it's orbited by at least 27 moons, the five largest of which are named after Shakespearean characters. But according to a recent analysis of data from the only spacecraft to reach the planet — NASA's Voyager 2 in 1986 — Uranus may be orbited by more moons than previously believed. According to Space.com, a doctoral student at the University of Idaho, Rob Chancia, was looking at data from the Voyager's flyby when he noticed something unusual in the outer rings surrounding Uranus. The matter making up the rings appeared to be going up and down in waves, as if disturbed by an outside force. He and Matt Hedman, an assistant professor at the University of Idaho, ran the data through a model that had discovered one of Saturn's many moons, and they found that the waves could be "wakes from small moonlets" passing through the rings as they orbit Uranus. But there's a catch: In the grand scheme of things, the moonlets must be miniscule. "If they exist, they're pretty tiny," Chancia told Space.com. According to their estimations, they're probably between two and nine miles across, which could be why they've gone undetected for so long. If they turn out to be real, the moonlets could explain why Uranus' rings are so narrow in comparison to Saturn's. Like Ophelia and Cordelia, two of the planet's larger moons, the moonlets could function as "shepherds," keeping the rings from spreading out. Chancia and Hedman will publish their results in The Astronomical Journal, according to the Washington Post. It's not quite the kind of revelation that will shake up most Earthlings, but perhaps that's for the best. I'm not sure the internet could handle another Ophiuchus.